How Far is Vishwak Annanagar? Vishwak Anna Nagar is one of the residential developments of Vishwak Properties, located in Chennai. It offers residential plots. The project is well equipped with all the basic amenities to facilitate the needs of the residents. Vishwak Properties is a name familiar to thousands of discerning Property Developers in Chennai. Having exclusively marketed some of Chennai’s most prestigious projects – and in the process, interacted with you extensively – Vishwak Properties believe, we have learnt what you are looking for. 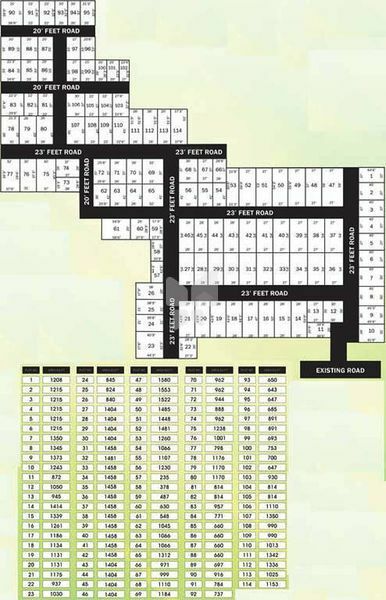 Vishwak Sameeraa Grand City one of the plotted development of the builder developed with CMDA Approved plots of various dimensions in Tambaram East, Chennai. A builder who is keener in delivering plot projects Thirumal Nagar with CMDA Approved plots developed in Tamabar east, Chennai. Kumaran Nagar a DTCP Approved plot development in Urapakkam, GST, Chennai. Vishwak Annanagar a plot development near Vandalur Zoo, available with completion certificate near GST, Chennai. Being one of the established property developer around Chennai and its suburbs, the firm has raised to be one of the most trusted realty developers too. The projects of the builder are built in major residential hubs after a deep analysis on the current trend and real estate demand. The projects remain as notable landmarks around the city creating a new skyline for Chennai. Established in 2010, this modern, dynamic and innovative company is committed to help you find the quickest route to your dream home. Yes, Vishwak Properties is a modern company. However, it is founded on values and traditions that have stood the test of time.